The man was originally named Tutankhaten. He later changed his name to Tutankhamen, or Tutankhamun. 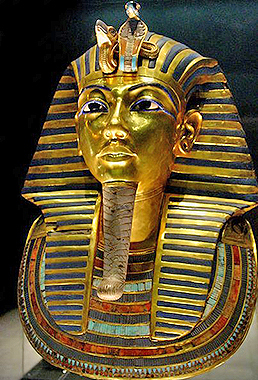 Tutankhamen was king of Egypt from 1333 - 1323 BC. He died when he was only 19 years old. London's Tutankhamen exhibition in November 2007 got Cairo all excited and the Egyptians decided to get the mask off of Tutankhamun's face and put his mummified body on display in Luxor. Long time no see. Howard Carter was the archaeologist who found Tutankhamen's tomb. The tomb was found in the Valley of the Kings in Luxor. 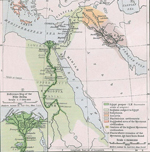 And here is the entire list of kings of Egypt.